SANDAG projects the county will be more than 150,000 homes short of what it will need by 2050, even if cities across the county build everything current plans allow. Regional planners project the county will fall 152,000 homes short of what it will need by 2050 even if San Diego cities build all the housing they expect to allow over the next three decades. SANDAG officials on Monday unveiled estimates they’ll use to update the region’s growth forecast. The forecast helps officials across the county with long-term transportation and infrastructure planning. 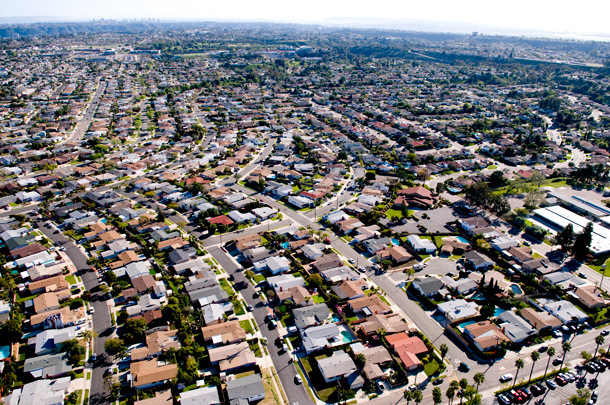 SANDAG staffers have in recent months met with planners countywide to learn where their local plans allow for housing – and how much. They concluded city and county plans permit 357,000 more units between now and 2050, short of the 509,000 additional homes SANDAG estimates the region will need. The projection is based on assumptions about population growth, the number of people per home, the number of second homes or vacation homes not available on the market and a desired 5 percent vacancy rate. Coleen Clementson, SANDAG’s principal planner, noted that many cities’ plans don’t contemplate development beyond 2035, one of the reasons for the gap. “The capacity of your general plans that you all have given us suits us really well until about 2035, and that’s where we have this difference,” Clementson told city planners at the Monday meeting. Clementson also highlighted the fact that the state’s draft housing target for San Diego County calls for the region to permit 171,685 new homes between 2021 and 2028. Delivering those additional homes won’t be easy. City officials across the region will have to sign off on plans to allow them, and developers will have to build them. On Monday, Clementson and other SANDAG officials began asking cities to consider where to build additional homes, particularly those needed decades from now. They also shared a few other options for planners to consider, including allowing denser developments close to transit and small backyard granny flat units in urban and suburban parts of the county. City planners will be meeting again next month to recommend a preferred strategy and the SANDAG board is set to sign off in May. Planners from El Cajon, Encinitas and Oceanside said they supported making granny flats part of the solution. Other planners wondered how they should be taking into account developments they’re not sure will ever actually be built. For example, Carlsbad Principal Planner Dave de Cordova said one area initially eyed for dense transit-oriented development in his city was unlikely to materialize. Noah Alvey, a county planning manager, said existing development expectations in Borrego Springs may not be realized. Planners from National City and San Diego emphasized their cities’ recent efforts to increase the number of allowable units near transit stops or in other areas. Brad Raulston, National City’s deputy city manager, said planners should take a close look at areas across the county that could house more development, even those some might consider already built out. “(We) should be probably looking at where there’s missed opportunities, where there’s heavy transit areas,” Raulston said. SANDAG’s task in coming months, after all, will be to decide where regional plans should expect more homes. Raulston noted that perhaps SB 35, state law approved last year that streamlined the approval process for developments, and the more recently introduced SB 827, which would facilitate more dense developments near transit, could help.